In this short book, Catherine Millot offers a richly evocative reflection on her life as analysand and lover of the greatest psychoanalyst since Freud. Dwelling on their time together in Paris and in Lacan’s country house in Guitrancourt, as well as describing their many travels, Millot provides unparalleled insights into Lacan’s character as well as his encounters with other major European thinkers of the time. She also sheds new light on key themes, including Lacan’s obsession with the Borromean knot and gradual descent into silence, all enlivened by her unique perspective. This beautifully written memoir, awarded the André Gide Prize for Literature, will be of interest to anyone wishing to understand the life and character of a thinker who continues to exert a wide influence in psychoanalysis and across the humanities and social sciences. Catherine Millot is a writer and psychoanalyst who teaches at the University of Paris-VIII. "This beautiful poetic book is not only a unique portrait of Lacan by someone who knew him better than others, but is in itself a remarkable literary and autobiographical work. It draws us into the adventure of psychoanalysis, into a relationship with all its complexities, and into an era, described with an elegance and precision that we find so rarely today. A remarkable work that will find a readership far beyond psychoanalytic circles." "Millot’s elegantly written little volume, winner of the Prix de littérature André-Gide, serves as refreshing antidote to those who pigeonhole Lacan as writer of gibberish and irresponsible id." "A love letter celebrating someone Millot sees as an extraordinary and implacable genius." "The portrait of Lacan which Millot offers is of an insatiable mind, always open to the world with the unbounded curiosity of a child.... the reader comes away learning much about what made Lacan tick. 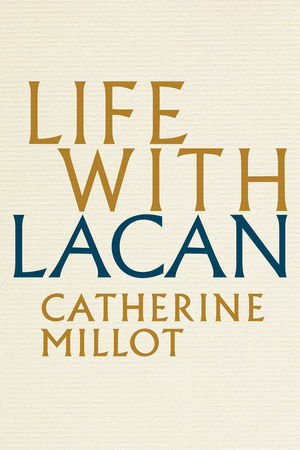 Millot is....a fantastic writer, and any reader with even a passing interest in Lacan would do well to pick up a copy of her book."